Our thanks goes to all of you who supported us this whole time. We are very grateful for all the positive comments we’ve received and also for your negative opinions as well (all in all, you took the time to look at at least one screenshot, so it still counts). Lately, there was little information from our side, because we struggle with our daily lives and jobs, but those news surely will give us a good kick (you know where…). We will do our best, to finish S-COPTER as quickly as we can! 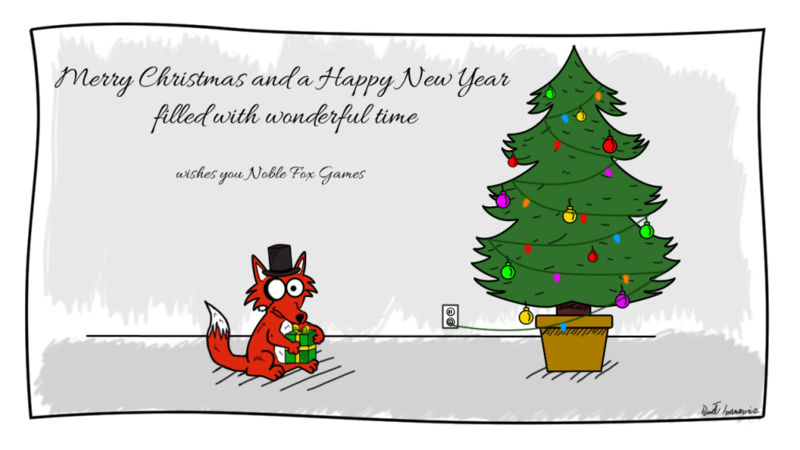 We hope you’ll spend this cheerful time in a warm, family atmosphere, filled with awesome games! As some of you know, due to our day jobs and personal lives, we had to slow down our progress on developing S-COPTER. Nevertheless we are still working on the game – we are hoping that soon we will be able to show you some of the changes that we’ve made this past year, such as awesome music by our new composer, completely reworked graphics of characters and brand new models for our weapons. 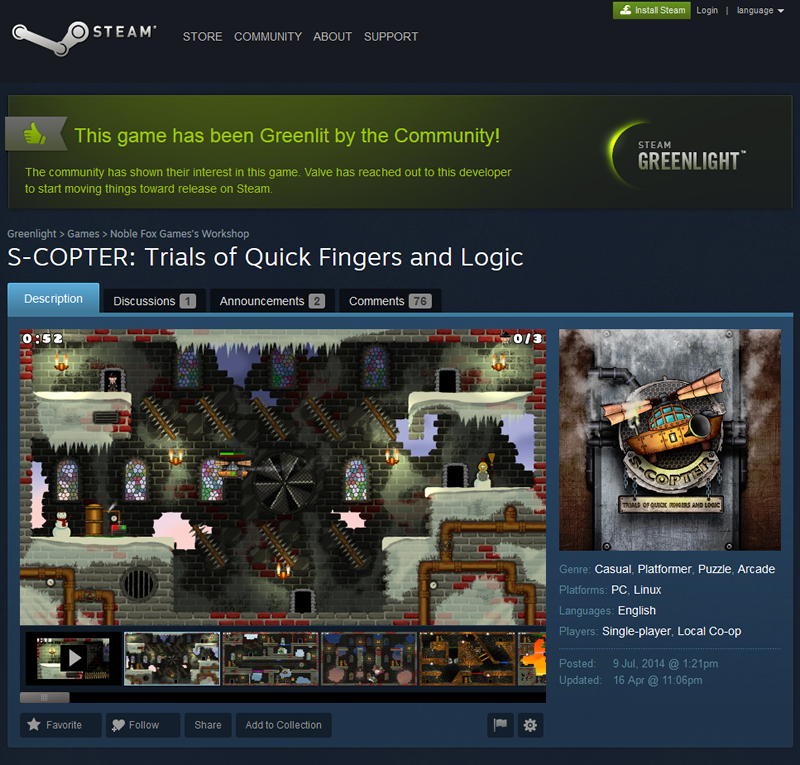 Thank you for all the kind words we’ve received (and for the constructive criticism also!). We hope that following year will be full of pleasant surprises for you and for us! Batch of weapons – checked! Of course the game requires some work – menu is not complete, some of the graphics are being redrawned and there is still balancing and bug fixing ahead of us. But other than that, we are getting close to release. With that said, we will be starting closed beta tests in the near future. If you would be interested in helping us improve game balance, just drop us a line! Thank you for all the continued support, we appreciate your feedback and remember, that you can tell your friends about us and our Greelight Campaign! We are going to Digital Dragons! On the 8th and 9th of May you can meet us in Krakow (and play S-COPTER of course). See you there! The first half of January is behind us, so it’s about time for some news. S-COPTER is still in development, but we are further than we were at the end of 2013. Most of the textures for our levels are almost done (they need some finishing touches and details) and our Level Designer is working hard on balancing every single element. Moreover, we completely changed our system for landing pads (so the screens from our alpha version are obsolete) but you will see it when we will publish gameplay video. 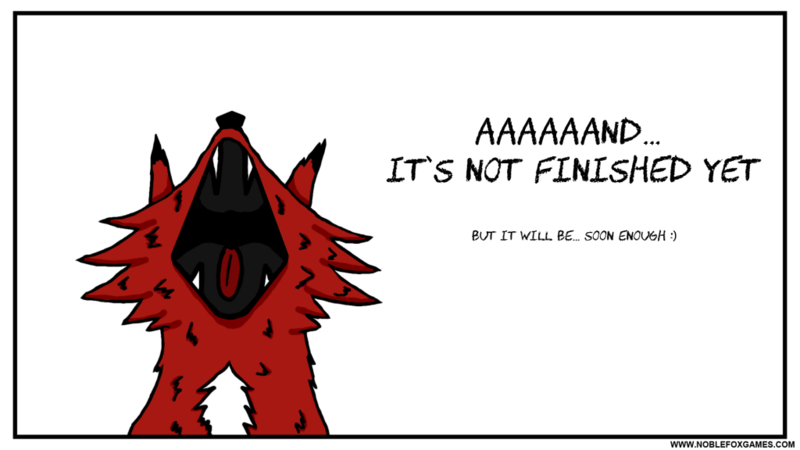 Aaah, yes – our long awaited gameplay video… We promised that couple of months ago and we still don’t have it. Why? Because we want to show you our game in the best possible condition – so you have to wait a little longer (maybe about two weeks from now). We recently updated our main site with two things: Newsletter and Press Center. The first one is for everyone to use – that way, you don’t have to have a facebook account or RSS reader to be up to date with crucial informations about us and our games. You can subscribe by filling up the form on the right side of the site, or by clicking here. The second one is mainly for people from the press – that way if you’re looking for most important informations, you can find them in one place. Press Center is available here. Finally, we want to inform you that there’s an article about us on the internet (well… it’s very short and only in Polish, but it’s a beginning for us). You can check it out here. Have you been nice or naughty this year? 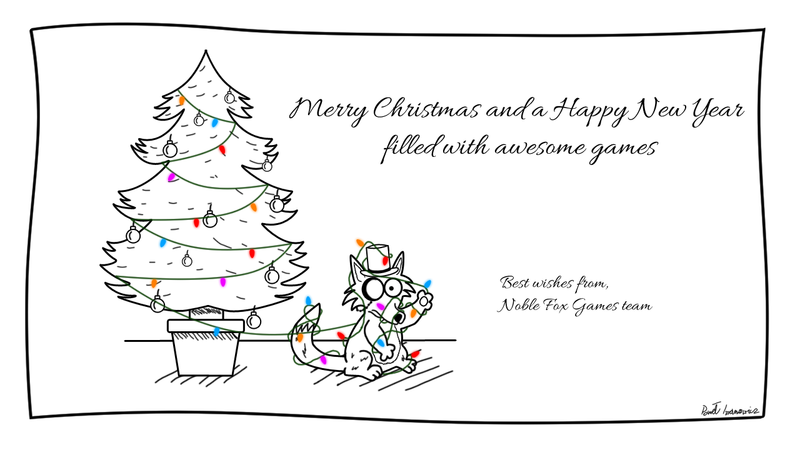 Here in Noble Fox Games we all have been good kids (khem… khem…) so we are expecting tons of presents under our christmas trees. Sadly, we don’t have any new information for you concerning S-Copter (but we swear – we are still making this game). Instead watching new gameplay video from our game (there will be one, we promise! ), please enjoy this little christmas card, that we have made for you.